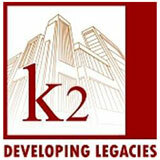 K2 Builders and Realtors have been in business since the year 2000, and we have been successfully catering to the housing needs of our clients. We work with the strong vision of providing quality living experiences at reasonable prices. With more than a decade of experience in this field, we have progressively developed as one of the best builders in Mangalore. We have also completed some exquisite yet fully functional projects in Bangalore and Kerala. We specialize in both residential and commercial property development projects. What sets us apart from our competitors is that we listen to you, and understand your needs and desires. We always make an honest attempt to give you more than just a home. Our projects are synonymous to luxury and class. You will not miss noticing the innovative craftsmanship and attention to detail in each of our projects. Our business is driven by passion for delivering top quality residential and commercial properties. Over the years, we have been able to successfully cater to the housing needs of both, NRIs and people residing in India. We get a lot of new business due to the word of mouth recommendations from our happy clients. Our team comprises of thorough professionals who have many years of experience in various real estate development fields. Our customers prefer doing business with us because we adopt an all inclusive approach, which is backed with technical expertise and attention to finer details. Our construction projects are created in such a manner that they achieve a stable balance between functionality and creativity. Our works are characterized with fine workmanship and creativity, and are designed by top planners and architects in our team. Our departments and teams work in close sync with each other, in order to achieve better cost-control and flawless results. We have already completed many commercial and residential projects in Mangalore, Bangalore, and in some parts of Kerala. Many of our projects have received accolades and admiration from thousands of peoples. Our homes are designed to bring about ultimate aesthetic appeal. We believe in thinking differently, and it will be clearly evident to you if you look at any of our ongoing and completed projects. Please contact us today to see how best we can assist you with your housing and investment needs.